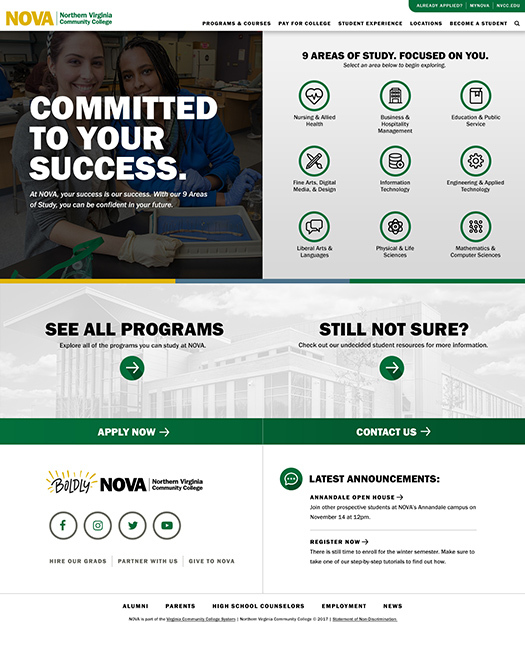 Northern Virginia Community College is the second largest community college system in the US. 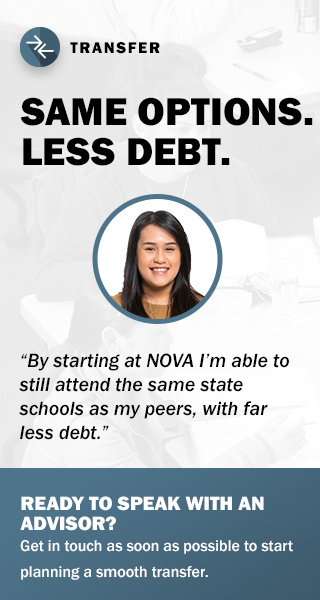 In the competitive metro DC area, they sought to increase enrollment and name recognition, letting prospects know that NOVA students “don’t settle” for less. 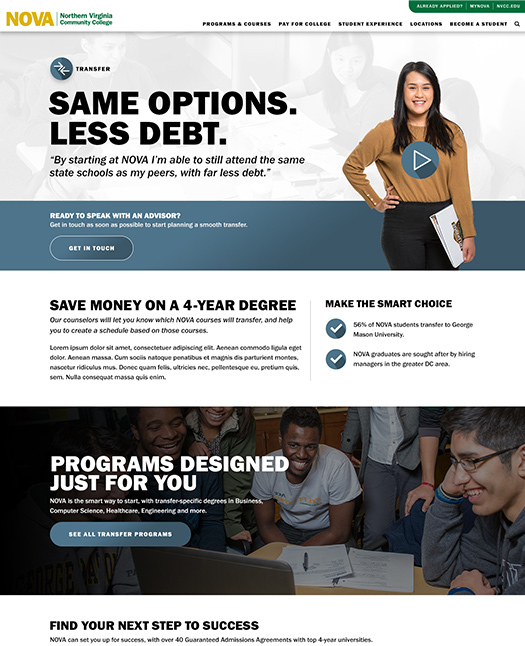 Their website, like the College itself, would have to compete with prestigious, well-funded, four-year universities. 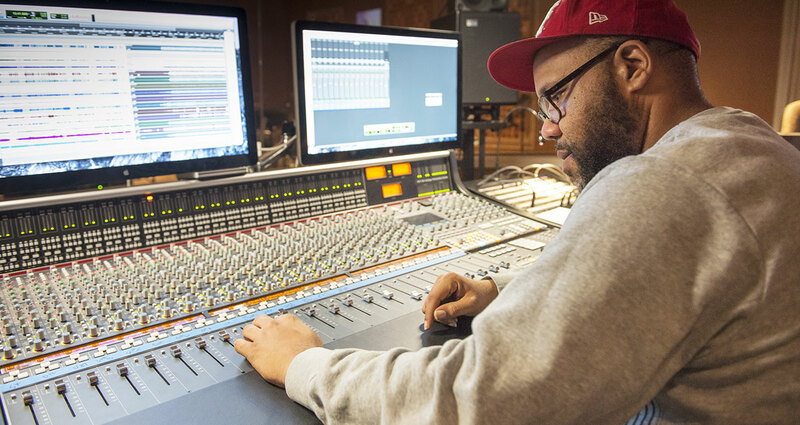 Promoting NOVA’s hand-on approach to recruiting through sitewide Lead Gen forms. 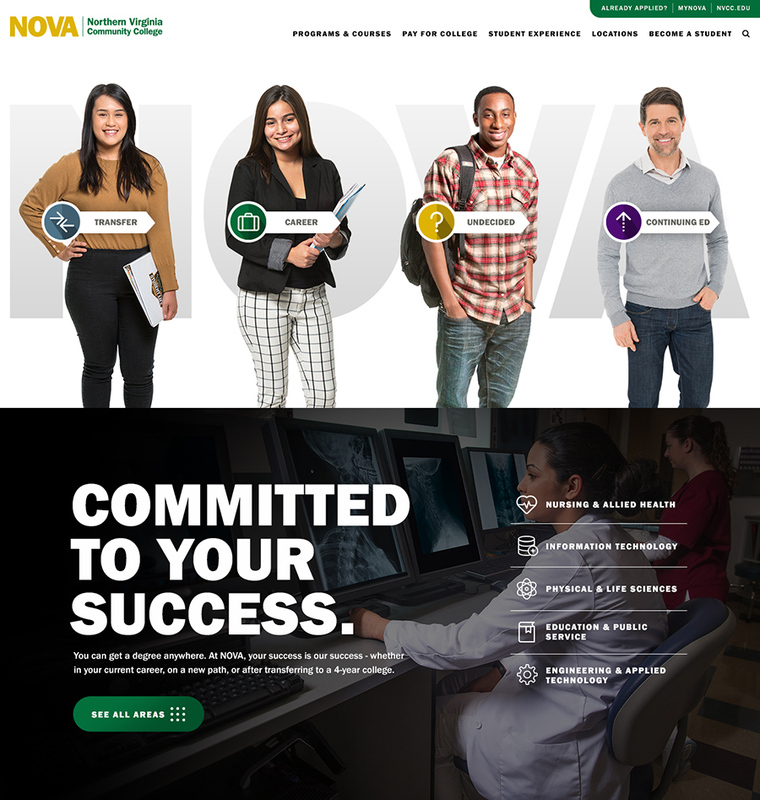 Using newly created photo and video assets to demonstrate NOVA’s vibrant student life. 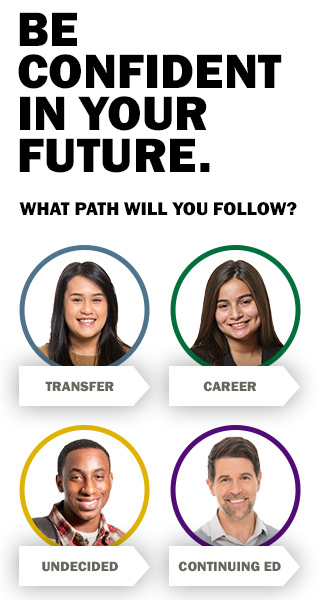 Streamlining our strategy to focus on the admissions process.